Perfumes where never my forte. I was never the kind of girl that would have massive collections. Two is more than enough for me – or three – but recently I have been feeling more attracted to buying new perfumes and trying something different scents. 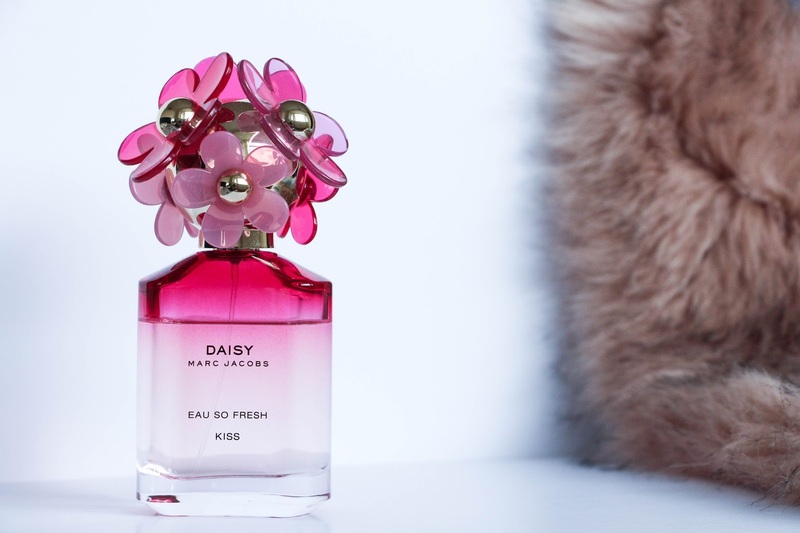 The Daisy Eau so Fresh Kiss by Marc Jacobs is my most recent addiction, straight after the Givenchy Dahlia Divin Eau de Toilette (review here). With such a beautiful and eye catching packaging, it is hard to stop yourself from getting your hands on it. I love the detail with the flowers and the hint of pick which makes it look so girly. The scent is very feminine, delicate and floral – a perfect pick for spring/summer. What I love about this perfume is that it has such a delicate, simple and classy scent but yet, other people notice and compliment it. It is very likely that I will be repurchasing this as I fell completely in love with it that even thought it is more of a summery scent, I know I will be using it even in the next season. What is was your favourite perfume this summer? And which ones do you advice me to try for the next Autumn/Winter? Previous Post L’oreal Paradise Extatic Range – Worth the hype?